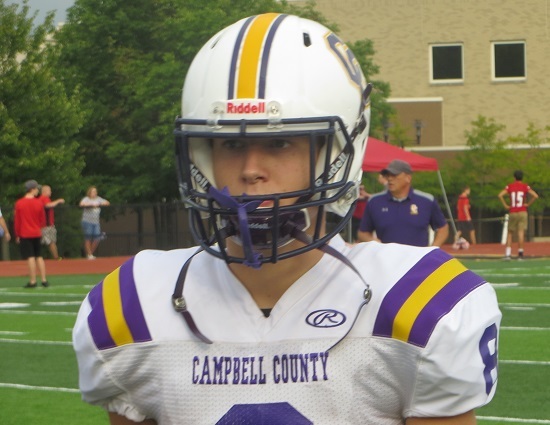 ALEXANDRIA, Kentucky –One of the more exciting games of the weekend in Northern Kentucky happened as Campbell County knocked off Cooper on a 1-yard TD run by Grant Jolly as time expired. Cooper held a 21-10 lead during the third quarter, but had a tough time holding on when they lost both their first-string and second-string quarterbacks to injuries. The Camels took advantage scoring 12 unanswered points to close out the game and the victory.